If you choose custom from the drop down menu, please give us your phrase here. You may select a maximum of 12 words. We can do common symbols like &, Hearts, stars, but reach out if you want something other than that to ensure we have that stamp. 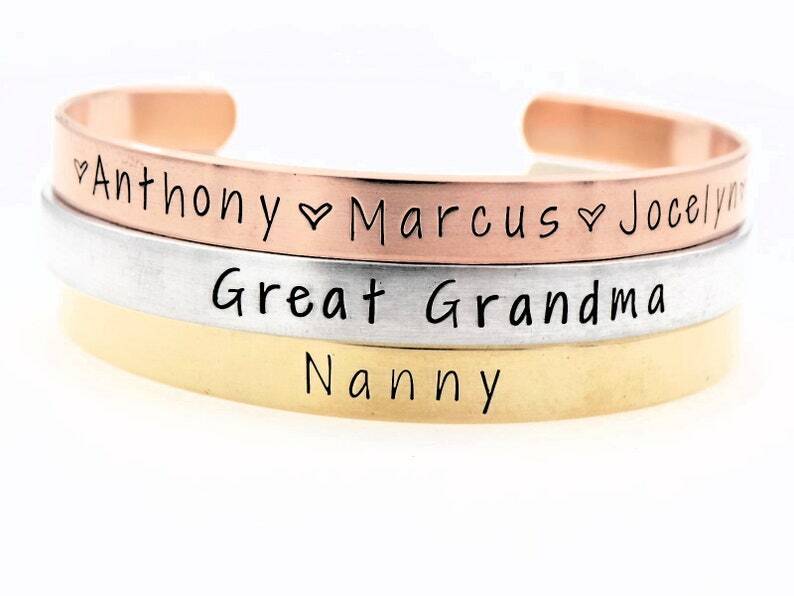 We can customize these cuffs to read a variety of phrases. You can either choose a phrase from our drop down menu, or we can make one custom for you. ·Select the size cuff you would like from the drop down menu.